Is there a good range of classes on the programme? Anyone interested in joining is welcome to try one class (excluding Aerial classes, Clubbercise, Fight Klub, one of special classes and workshops) before doing so. Trial classes must be booked by the attendee and cannot be booked by another member. 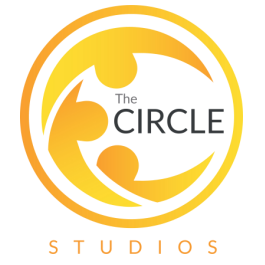 Please call The Circle Studios on 01273 911 331, email reception@thecirclestudios.com or pop in to the studios. View our full studio timetable and choose the class you would like to try. Non-members are welcome to do a class (excluding Aerial classes, Clubbercise and Fight Klub) for a fee of £8 which must be paid in advance. In order to book a space, please call us on 01273 911 331 to book and pay. Please note that these bookings are not refundable but can be transferred once only to another class. Requests for booking transfers must be received 24 hours before the start of the original class booking. Bookings cannot be transferred outside of this time. Absolutely! Just give us a buzz to let us know when you're coming and we'll give you the tour! Yes we do have some parking on the roof for The Circle members only. All members must display a parking sticker and parking is only permitted whilst you are attending a class. As with most places in Brighton and surrounding areas, parking is limited. Please ensure that you allow yourself enough time to find a parking space - we cannot guarantee there will always be room in our car park. There are many spaces in surrounding roads. The car park is patrolled by a parking warden so please ensure that you only park if you are a current member of The Circle and you are in the correct area or you may receive a ticket. What can't I attend as a Pay As You Go member? We welcome members of all types here at The Circle Studios - however, there are some classes that are only available to fully signed up (direct debit) members. These include all Aerial classes, Clubbercise and Fight Klub. If at anytime you wish to a upgrade from a PAYG member, monthly prepay member or class card member, please speak to our reception who will be happy to help you. We run a very clear and generous policy for class cancellations. You are able to cancel classes up to 4 hours before a class, after this time it is marked as a late cancellation. Once you have reached your limit of free late cancellations/no shows you will be charged £4 each time, which is to be paid by PayPal or at the studio reception. Please note that due to high demand, anyone cancelling Aerial Yoga late or not showing showing for their booking will not be able to book this type of class again for one month. Our reception is very busy at times and we cannot always answer the phone so please ensure you cancel your class via the class booking system to avoid any fines. When you are on the waiting list an email goes out to everyone on that list and it is a case of first come first served. If there is no space when you log on unfortunately it means someone has beaten you to the space. Please note that we don't automatically booked people in as this results in spaces not being used or late cancellations if members don't check their emails in time to see they have a space. Yes! Save £1 / month* for every friend you refer that joins the club. All you need to do is let the reception team know as soon as your friend has joined and they will make sure your discount is applied. (*payable once the referral has been at the club for 2 months - discount will end if referral leaves). For health and safety reasons and also for the comfort of others, we request that you do not take bags or shoes in to the studios. We have lots of coin operated lockers in reception and in the changing rooms. These take old £1 coins or trolley tokens. Tokens are available to purchase from reception for £1. Didn't find what you were looking for? We're here to help! Join now to get access to over 90 classes a week!